NOTE: LIMITED EDITION FOR THE RECORD STORE DAY 2019. INCL. DOWNLOAD CODE CARD. Long time hidden gem and one of the pivotal releases that shaped what would later on become the „Sound of Cologne“. Originally released in 1993 on CD at the opening of the Delirium Recordshop in Cologne – the birth house of Kompakt. Released under their monikers The Bionaut (Jörg Burger) and Mike Ink (Wolfgang Voigt) this album marks one of the many highlights evolving from this artistic relationship. 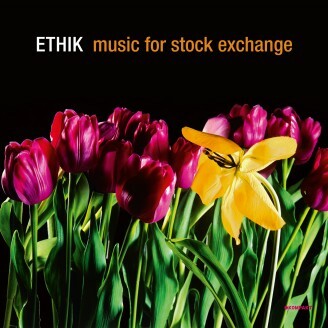 „Ethik“ perfectly showcases the pair‘s very own take on electronica/IDM that soon led into their Harvest releases as Burger/Ink, The Bionaut and The Modernist. 25 years after its inception Ethik sounds strangely contemporary and will delight the old and surely find many new friends. Dieses Album markiert einen der vielen Höhepunkte, die aus der künstlerischen Zusammenarbeit von The Bionaut (Jörg Burger) und Mike Ink (Wolfgang Voigt) hervorgegangen sind. Ethik zeigt perfekt die ganz eigene Sicht des Duos auf Electronica/IDM, die bald zu ihren Harvest-Veröffentlichungen als Burger/Ink, The Bionaut und The Modernist führte. 25 Jahre nach seiner Gründung klingt Ethik seltsam zeitgemäß und wird die Alten sowie viele neue Freunde finden.